Shekoli (hello)! My Oneida name is Yakohahi, my English name is Olivia, and I am a proud member of the Oneida Nation of Wisconsin, one of the six tribal nations that make up the Haudenosaunee (Iroquois) Confederacy. In Indigenous communities, we often introduce ourselves in this manner, in both English and our traditional tribal languages, to share our connection to people or places. It’s a way to honor, celebrate, and translate our cultures into our daily lives. As a Googler, I’ve been fortunate to find another community to add to my introduction, as a member of the Google American Indian Network, GAIN. 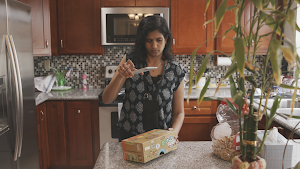 This Native American Heritage Month, I’m excited to share some of our efforts to bring diverse perspectives to our products, so that technology can serve our Native communities. This month, we worked with the Indian Community School of Milwaukee to show how easy it is to start a computer science program, take learning beyond the walls of the classroom using Expeditions, and share some online safety tips with students. 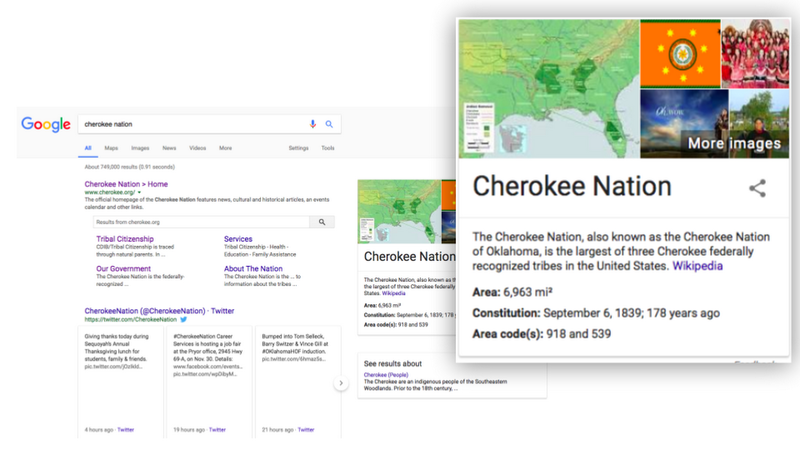 Outside the classroom, we’re extending our knowledge panel functionality to surface information about tribes in relevant search results. We also put together a set of YouTube playlists with user-based content on Native foods and endangered languages, and in Google Earth’s storytelling platform Voyager, we shared a Harvard Project on American Indian Economic Development, celebrating tribal government success. Earlier this year, Google Doodles honored Richard Oakes (Mohawk) for his contributions in social justice and education, as well as Susan LaFlesche Picotte (Omaha) for her influence on public health and social reform. New updates to Google Earth and Maps allow you to see and search for Indigenous lands in North and South America. We also continue to collaborate with tribal language communities to create web-based virtual keyboards for their languages. With Google Input Tools, people can now text, email, and search in mobile apps, or create content for websites or blogs in their Native language, helping tribes to preserve their languages online. As Native American Heritage Month wraps up, we will continue to engage with native communities and provide tools to help everyone tell their stories.